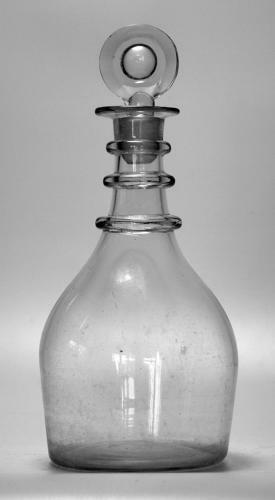 This is a typical George III 'prussian decanter with three neck rings. It is without any decoration, holds a full bottle with ease and is very fit for purpose. It is clear and bright and without any chips or cracks.